Vermont Businesses for Social Responsibility is proud to welcome Northfield Savings as newest Champion Member. The Vermont Businesses for Social Responsibility (VBSR) Board of Directors is pleased to announce Northfield Savings Bank has become VBSR’s newest Champion Member. VBSR is a business association that advocates for policies which support workers, Vermont communities and the environment with the support of close to 700 members around the state. The support of sustaining Champion Members is particularly key to advancing VBSR’s mission to foster a business ethic that recognizes the responsibility of the business community to set a high standard for protecting the natural, human, and economic environments of Vermont’s citizens. Northfield Savings bank was founded in 1867 and is the largest bank headquartered in Vermont, with 13 branches serving more than 30,000 customers. They are also one of the state’s few remaining mutual savings banks, owned by depositors and not shareholders. 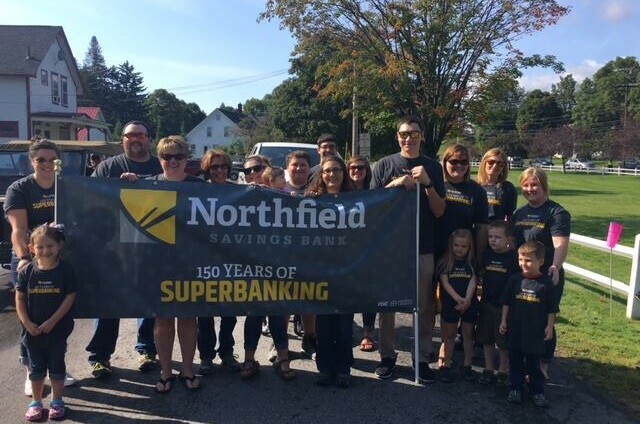 Northfield Savings Bank is committed to investing in the communities it serves through active lending to home owners and businesses, and through its commitment to donate 10 percent of annual earnings to local non-profits. VBSR members learn about leading edge socially responsible business practices at their dynamic education and networking events around the state; including the annual Spring Conference held in Burlington every May and a new intensive workshop series Measure What Matters launching in March 2019. VBSR also gives members a voice at the state house on sustainable economic development and social equity, having been a leader on recent legislative successes such as farm to plate, home solar investment, marriage equality and paid sick leave. To learn more about VBSR’s policy work, upcoming events, staff and board, or how to become a member please visit vbsr.org.